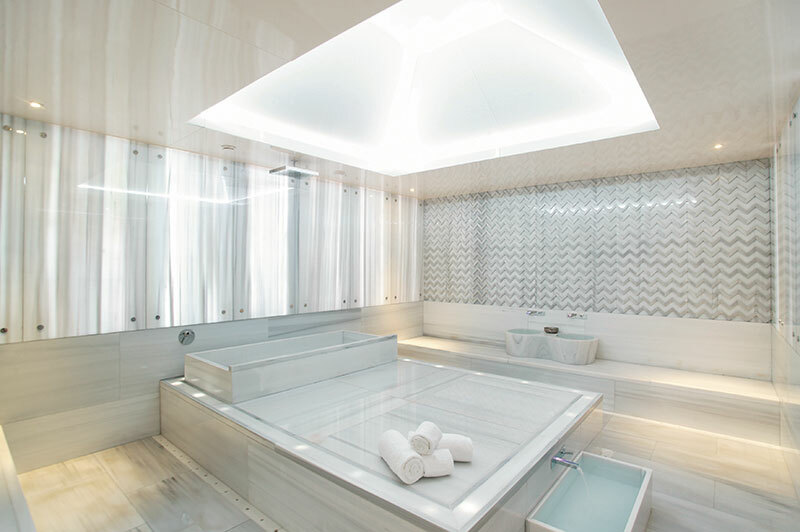 Sylvia Plath once wrote, ‘There must be quite a few things that a hot bath won’t cure, but I don’t know many of them.’ Sitting in solitude inside the Pürovel Spa & Sport’s Turkish hammam room at Swissotel The Bosphorus, Istanbul, I couldn’t agree more. I’ve always been fascinated by the pleasure-and-pragmatism combination of the hammams, which everyone from the humble wage earner to the sultan habitually frequented, to indulge in the tradition of a steam bath and body scrub. Today, contemporary spas around the globe have taken inspiration from the custom, offering it as a pampering experience. Bathing has always been a getaway for me, and from what I hear, countless others too. It decelerates people; being doused in warm water makes us mildly soporific. Who has time for this, you might ask…but who actually doesn’t? It took me a trip all the way to Istanbul to truly learn and understand that the practice has been an important part of many ancient cultures, and with good reason. 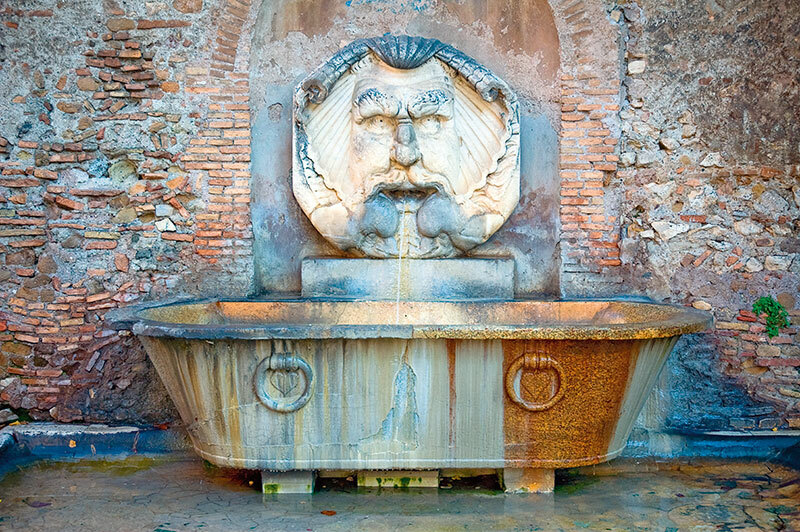 In ancient Rome and Greece, public baths were the norm — and one of the pillars of communal life. One would typically go to the bathhouse to get rubbed down with olive oil, exercise and then scrape the grime and oil off with a special tool before soaking in the waters and getting a massage. The affluent brought along slaves who would carry their bathing kits, help wash them and guard their belongings while they bathed, which most often took a while. The Roman bath wasn’t merely for bathing and working out, though. You could get medical treatments as well as a shave and haircut (the surgeon was also the barber), food, wine, entertainment and even books. People would spend hours or even a day there. 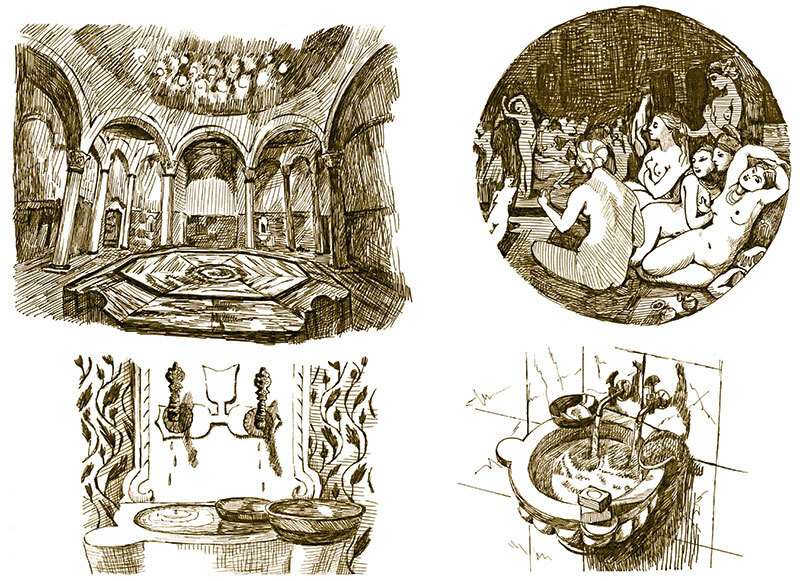 Religious rules also surrounded the custom — the Jewish mikva, like the Muslim hammam, was essentially part of their sacred cleanliness ritual. Some of the finest healers worked in public baths and it was not unusual for injured or fatigued soldiers to recuperate there after a battle, before returning to society. The Egyptians, too, were big fans of ceremonial bathing, which comes as no surprise since Cleopatra, the last active ruler of Egypt, was a legendary beauty who left behind everlasting rituals as part of her legacy. Her secrets include the Dead Sea salt scrub, almond oil, apple cider vinegar and the honey and milk bath. Eastern cultures firmly held on to the tradition as well. 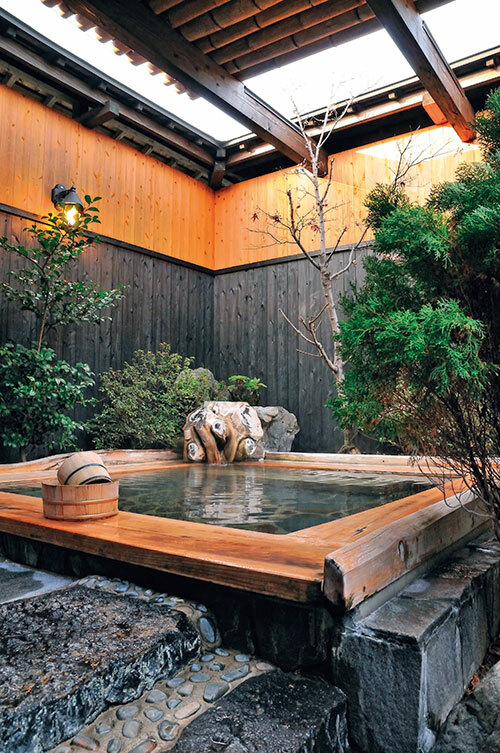 In Japan, the public bathhouse called sentō is still an aspect of traditional culture. The Japanese bath, or onsen, was historically communal, but certain incidents led to laws separating the sexes. Ayurveda, of course, cannot be excluded. India’s 5,000-year-old holistic system includes bathing and oil treatments which support physical and spiritual cleansing. Pondering over all this new information, I shift focus back to my surroundings, feeling like I’m partaking in something much larger than I originally understood it to be. The hammam area is a dimly lit room tiled in mosaic where, after stripping down to the basics, the process begins in a rush of steam and hot water. Since it’s my first time, I’m in a private chamber rather than a communal one, and the therapist eases my nerves with a smile and soothing words. As she washes me, she teases the knots out of my muscles before I’m laid down on a heated stone slab called the gobek tasi, designed to raise body temperature and boost circulation. What happens next is probably the most recognised and beneficial aspect of the ritual — the scrub. Believe me when I say that no inch of the skin is left unpolished. Using a coarse soap-like bar and a bristly mitt, the therapist pays painstaking attention to spots where the skin is naturally rougher, like the elbows, knees and feet. After an initial phase of discomfort and shock, the rhythmic nature of the scrub, paired with the sloughing away of grime, feels unbelievably therapeutic…symbolic, even, of shedding all worries. The foam massage follows almost immediately. Olive soap is used with a lacy cloth to create a thick lather that feels comforting as it’s swept across freshly scrubbed, sensitive skin. The massage is performed with long, entrancing strokes, kneading any remains of tension into submission. Finally, the soap is rinsed off and oil is rubbed into the skin to keep it soft and glowing. The experience is concluded as tranquilly as I could possibly expect. Sipping herbal tea and cooling down, I reflect on how, despite the cultural explosion of surgical practices and chemical cosmetics, a centuries-old tradition uses the most basic of nature’s gifts. It is not only extraordinarily effective, but feels like the most ideal supplement to strenuous modern life.